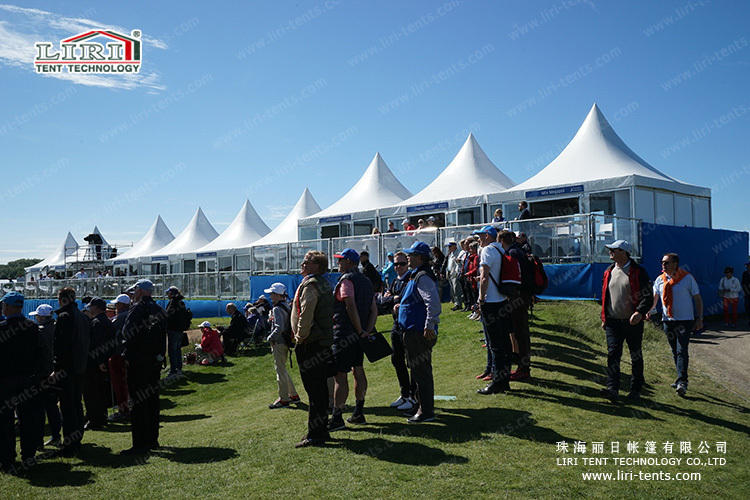 The standard Gazebo Tent for sale with the side height of 2.5m is available in 3x3m, 4x4m, 5x5m, and 6x6m. All the framework and junctions are made out of aluminum alloy. It is easy to assemble the roofs because it uses eyelets and sliding plastic resin balls to fix it. The optional accessories for the Gazebo tent include clear windows, lining, weight plate, rain gutter, digital printing, etc. 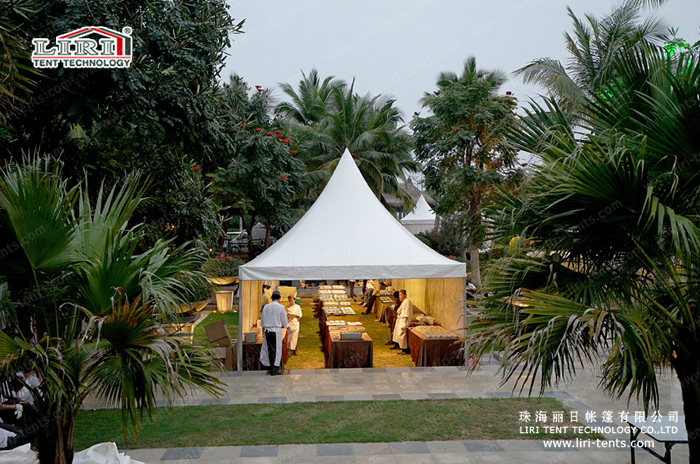 Gazebo Tents for sale can be used as a single unit or combined by a rain gutter to make a larger space and a special structure style.